Is your baby wakes up crying in the midst of his sleep, then certainly, it is a sign of sleep disorders in children. 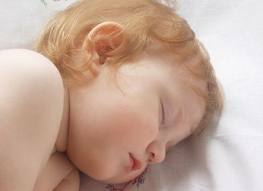 Sleep disorders which are increasingly affecting modern people have not spared even children. Night waking is one of the most common sleep problems in children today. Though, the problem is serious as it leads to sleepless nights for parents as well as for babies, but with some care and tips, you can manage frequent night waking in your baby and can help your baby to have sound nights. Here you see helpful information for baby nigh waking. A baby always wants parents to be there with them when they wake up. Parents are the first friend of children and only it is parents who understand what their baby wants and their unsaid language. So, it is parent’s prime duty to always be with their baby and observe what baby wants. When baby wants to get feed, then you should change her bedtime. Try to develop a feeding habit in your baby at time when you tell her a story before sleep. This will eradicate the collaboration between sleep and milk. Night waking can be a big issue if it is not handled in right way. Like adults, a baby also needs a healthy amount of sleep. So, you should check if your baby gets required sleep at daytime or not. Very small amount of sleep can be exhausted for your baby. It can cause stress hormones in your baby’s body. These hormones are main cause of night waking. A baby who gets sound sleep at daytime feels relaxed and comfortable and thus, he/she does not suffer from night waking. 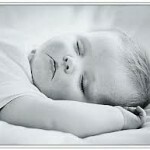 At the same time, excessive sleeping habit in daytime is also not good for baby and it encourages night waking. 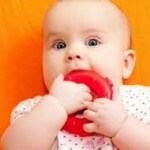 Some parents develop a habit in babies to use dummy in their mouth to get sleep and when this dummy gets away from their mouth, they wake up and cry to get it back. This makes night waking in babies and also troubles parents when sleeping. In such condition, the best way is to provide lots of dummies around baby. Babies for 6 months or more can easily find dummy at night. However to make babies aware about finding dummies, parents should guide them and help them. But after few nights, they can easily help themselves in finding dummies if you place several dummies near them. Only parents can understand how problematic situations they bear with night waking. After a long tiring day, at night they desire to get sleep, but night waking issues of their babies do not let them to have sleep. It becomes difficult for them to understand the reasons for their baby’s frequent night waking, and they have to wake up for long hours to make their babies sleep.